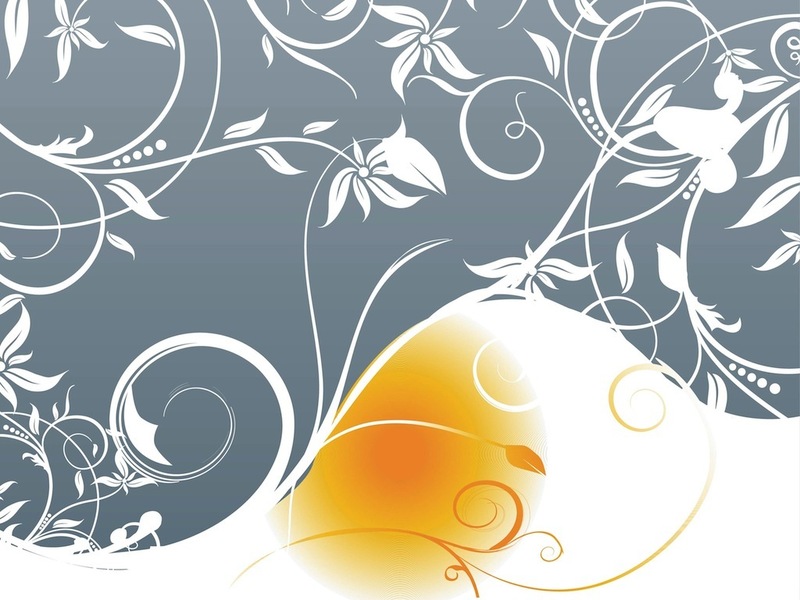 Vector graphics of beautiful abstract plants forming a wallpaper layout. Curved stems, swirling flowers and variety of the shapes and sizes of the petals. Bright color rounded shape in one of the corners. Free vector illustration for all spring, summer, flowers, floral, nature, plants and garden projects. Tags: Decoration, Flowers, Leaves, Nature, Petals, Plants, Stems, Stylized.